The Energiser converts mains or battery power into electricity pulses which it pushes down the fence line. The difference between them is how far they can they push the pulses while maintaining the voltage. 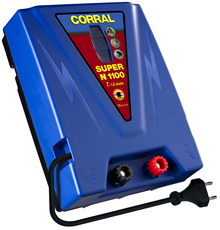 There are currently no questions for Corral Mains Energiser - be the first to ask one!